Gallia Academy senior Bailey Walker (44) prevents a Chesapeake player from driving into the lane during the second half of Friday night’s OVC boys basketball contest in Centenary, Ohio. CENTENARY, Ohio — Keeping pace by setting the pace. 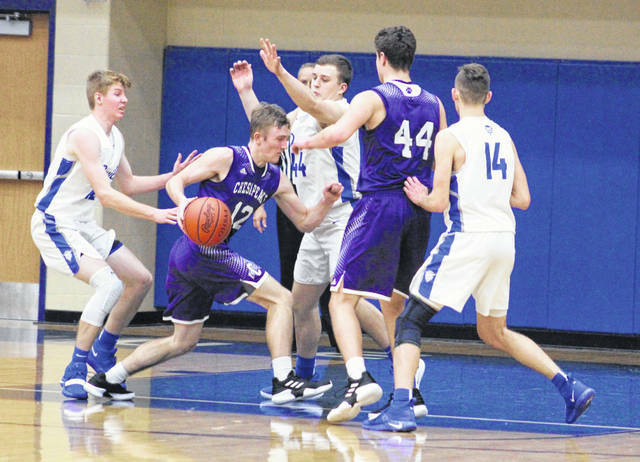 The Gallia Academy boys basketball team used a pivotal 24-13 second quarter surge to build a 15-point halftime lead, then simply held on down the stretch Friday night while securing a 68-57 victory over visiting Chesapeake in an Ohio Valley Conference contest in Gallia County. The Blue Devils (8-4, 5-2 OVC) trailed twice in the opening canto and eventually broke a 13-all tie with a Caleb Henry basket at the 1:43 mark, giving the hosts what proved to be a permanent cushion. The Panthers (8-6, 2-5) went scoreless over the final 2:04 of the first period, and the Blue and White also mustered a Cory Call basket with 35 seconds left to take a 17-13 edge through eight minutes of play. GAHS shot 10-of-16 from the field in the second stanza, and Call poured in 14 of Gallia Academy’s two dozen points while building a lead as large as 17 points with six seconds remaining. Travis Grimm hit a jumper just before the halftime buzzer, allowing the Purple and White to trim the lead down to 41-26 at the break. The Blue Devils hit four of their first five shot attempts in the third frame, which resulted in a 10-6 run that gave the hosts their largest lead of the night at 51-32 with 4:52 remaining. CHS closed the canto with seven unanswered points and cut the deficit down to 51-39 entering the finale. The Panthers twice pulled to within nine points over the final 90 seconds of regulation, but two Justin McClelland free throws with 28 seconds remaining ultimately wrapped up the 11-point triumph. 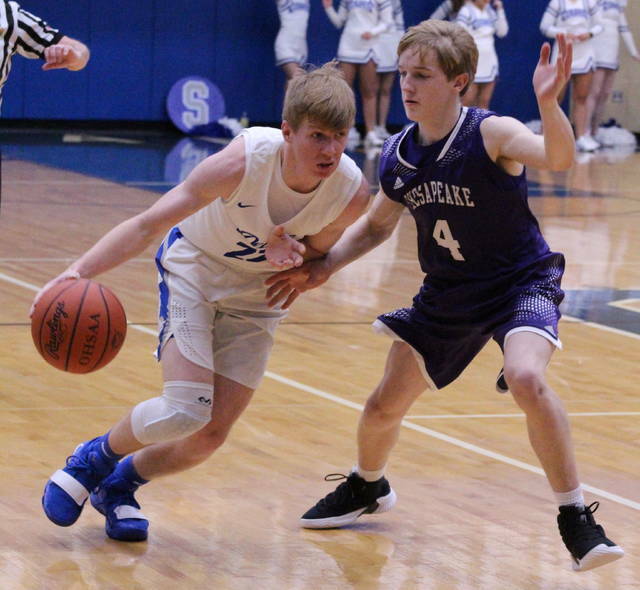 The Blue Devils committed only three turnovers through three periods and went without a mistake during their second quarter surge. The Blue and White did commit five of their eight miscues in the fourth period. 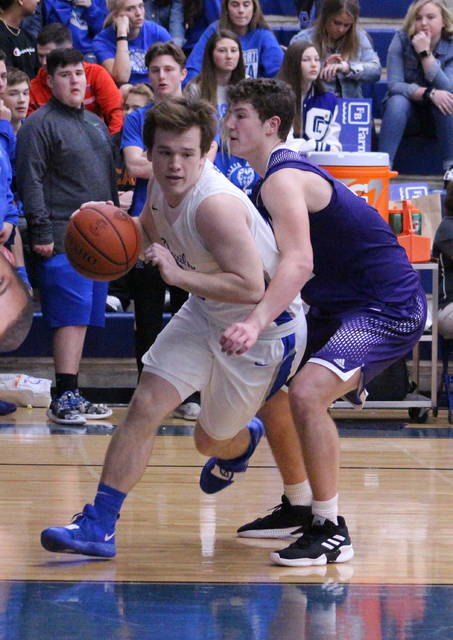 Given the way his troops battled early on to gain control of this contest, GAHS coach Gary Harrison noted that it was arguably as good a two-game stretch as the program has enjoyed all year long. However, even with another successful night, the sixth-year mentor noticed some smaller things that need some attention for later down the road. “This was a great win. We kind of fed off what we did at Portsmouth the other night, which was limit turnovers and get some rhythm established early on,” Harrison said. “I thought the kids played with a lot of energy tonight and we had some balance in our effort. I didn’t like how we finished the fourth quarter, but that’s the one thing we can learn from tonight. We still have time to get better, and I think that we will. 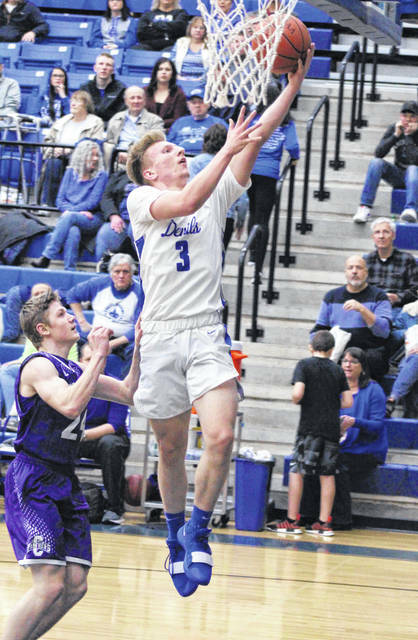 The Blue Devils made 25 total field goals — including five trifectas — and also went 13-of-20 at the free throw line for 65 percent. Call poured in a game-high 23 points, followed by Henry and McClelland with 15 markers each. Logan Blouir and Blaine Carter completed the winning tally with eight and seven points, respectively. The Panthers made 21 total field goals — including a half-dozen 3-pointers — and were also 9-of-13 from the charity stripe for 69 percent. Eli Archer paced the guests with 19 points, followed by Austin Jackson and Tylan Hutchison with 11 points apiece. Grimm and Logan Walsh were next with six markers each, while Levi Blankenship and Trent Dearth completed the scoring with two points each. Gallia Academy returns to action Tuesday when it travels to Pedro for an OVC contest against Rock Hill. Tipoff is slated for approximately 7 p.m.